Graffiti liner in navy blue, graffiti liner in purple, line and shine in pop star. Hope you’re all doing well! 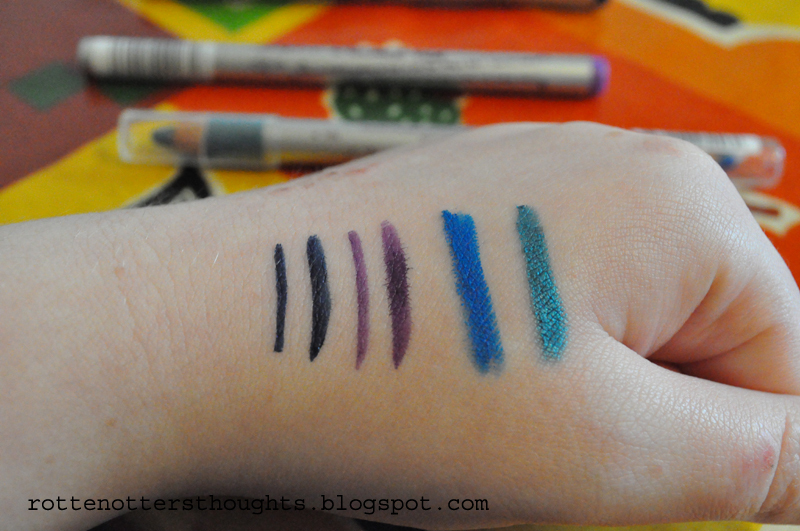 Have you tried these eye liners? Do you prefer pencil, liquid or gel? 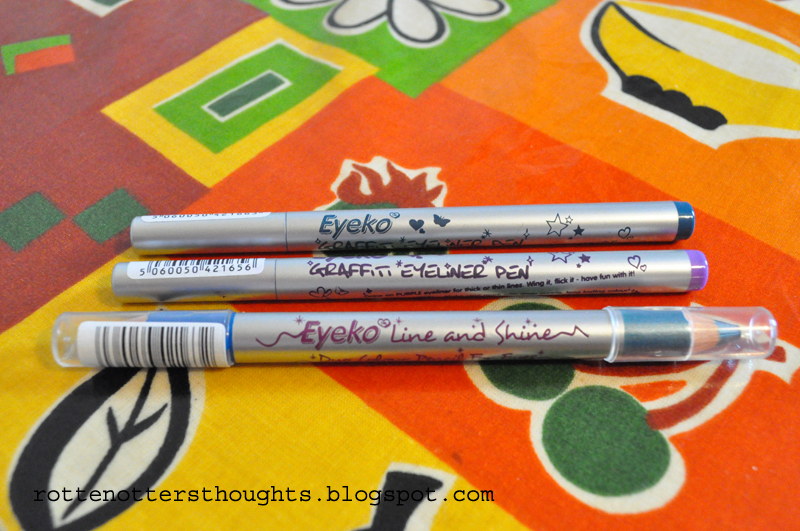 @Ms Wedgie, I actually prefer the line & shine as I'm not really a fan of the colours I have of the grafitti liners, I really like the application and formula so I think I'm going to buy the black and brown with my next eyeko order. The colours are great especially the blues.